How does Platinum Compare to White Gold for Wedding Rings? Both platinum and white gold are rare precious metals, however platinum is mined less frequently than gold. 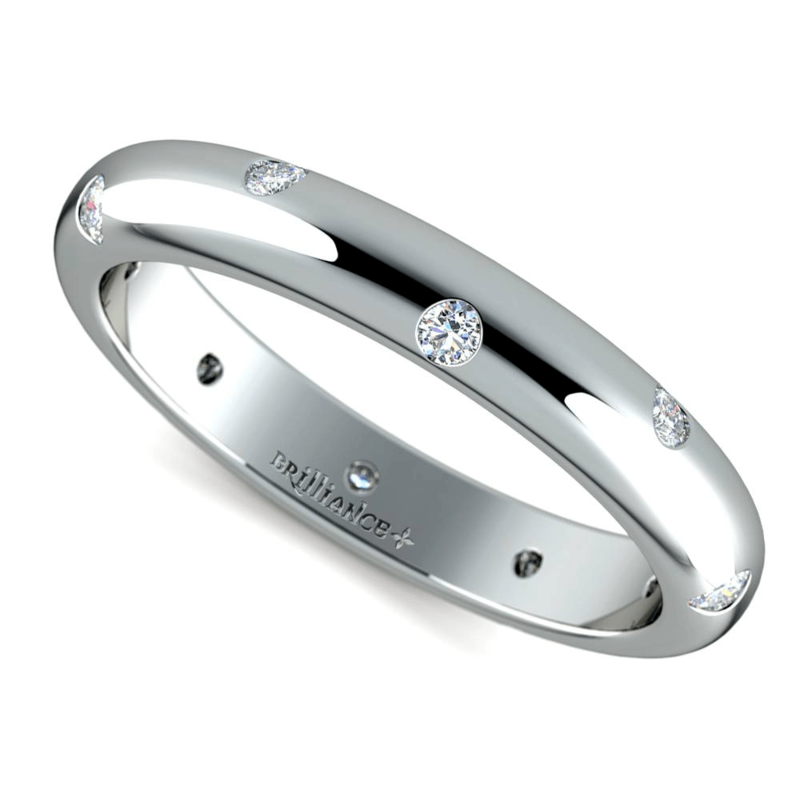 Platinum is also much denser than white gold, so platinum rings weigh more than comparable white gold rings. Because precious metals are priced based on these two factors, weight and rarity, platinum is significantly more expensive than white gold. Another factor to consider when choosing between these two precious metals is durability. 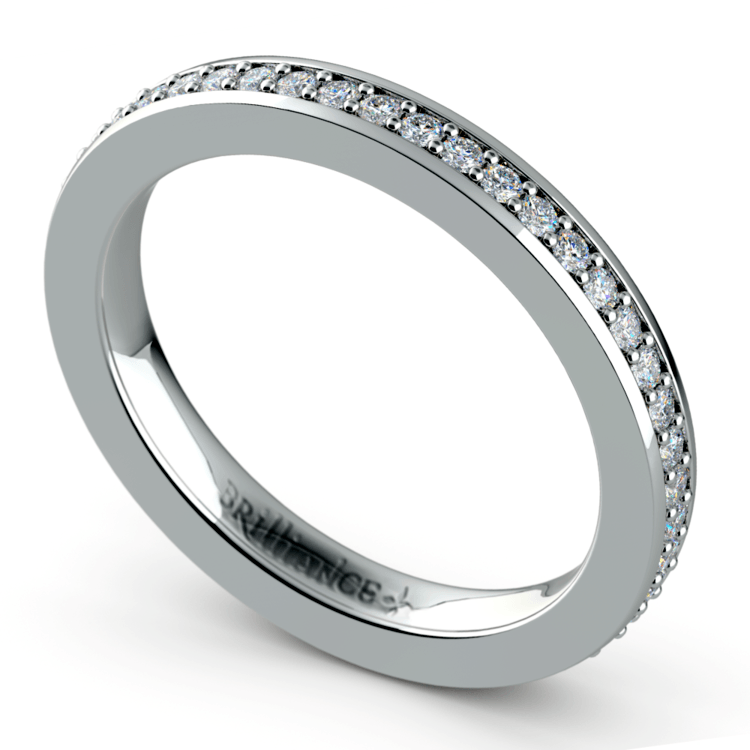 It’s important to choose a wedding ring that will withstand normal wear and tear and last until death do you part. Overall, platinum is stronger and more durable than white gold. In fact, some jewelers even use platinum prongs on white gold rings to ensure the diamonds are held securely in place for years to come. It also ranks higher on the Mohs Scale of Hardness, which measures the scratch resistance of precious metals. A higher rating means a higher resistance to scratches, so platinum beats gold in this category as well. You will wear your wedding ring for the rest of your life, so it needs to be comfortable. Since platinum is heavier than white gold, some people find that it is not as comfortable to wear. However, the weight of platinum is something that you will probably get used to after wearing the ring for a prolonged period of time. White gold is not pure gold. In fact, no wedding bands are made out of pure gold because this precious metal is not durable in its pure form. To create white gold, pure gold is combined with nickel, which is a durable metal that gives white gold its silver-white appearance. But unfortunately, some people are allergic to nickel. If you are allergic to nickel, wearing a white gold wedding band could irritate your skin or trigger other unpleasant side effects. Platinum is the best option for anyone who suffers from metal allergies since this precious metal is hypoallergenic. Most couples want low maintenance wedding rings that won’t require constant cleanings. How does the long-term care of platinum and white gold compare? White gold is typically coated in rhodium, which gives it a shiny and whiter finish. But over time, this coating starts to fade and the white gold begins to lose its brilliant color and shine. Another layer of rhodium coating must be applied to bring the ring back to life. Fortunately, this service is usually very inexpensive and available at jewelry stores. Platinum is naturally white-silver, so its color will not fade over time. But, regular exposure to environmental elements can change the appearance of platinum. The change in platinum’s surface texture and shine is known as patina, which makes the platinum appear frosted and aged. Some people like the way that patina looks, but if you prefer the shiny look of pre-patina platinum, buffing the ring can restore its natural beauty. There are benefits to both platinum and white gold. 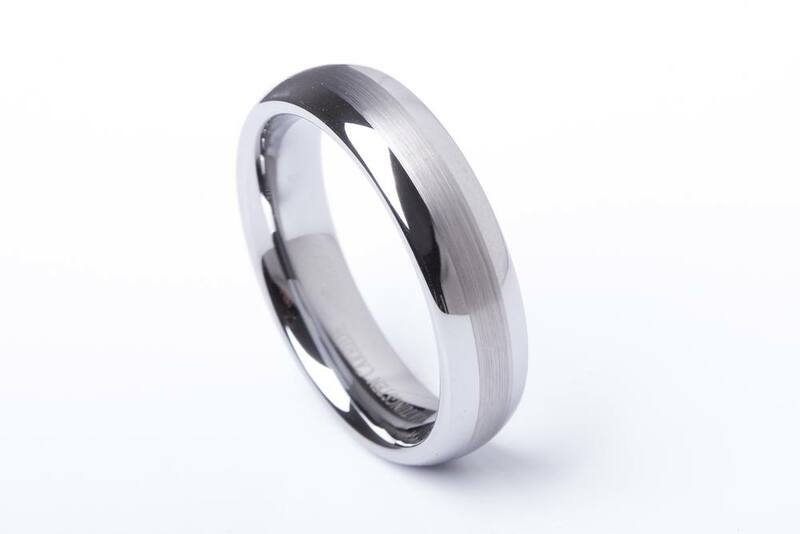 But now, you know how these two metals compare so you can decide which one is the right choice for your wedding band.